Props to these good folks, as the danger is clear and present. 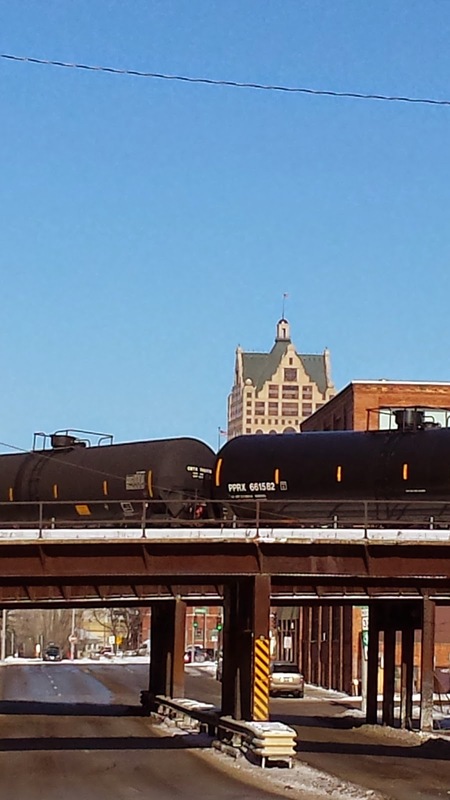 After decades of clean water efforts, crude oil train traffic — an ill-advised pipeline on rails snaking through Milwaukee — threatens our water, our health and our safety. 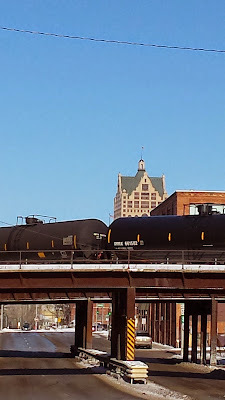 Join Citizens Acting for Rail Safety and the Milwaukee Riverkeeper to show your support for clean water and safe communities and to say "Get Explosive Oil Trains Off the Tracks and Bridges". Bring a boat (launch site is the Milwaukee County Bruce St. launch at 600 S. Water St.) or reserve one ahead of time with the MilwaukeeKayak.com. Plan to arrive at 2 pm for boat rental or launching and decoration. CONVERGENCE CELEBRATION of clean water advocates on the River and on the River Walk at the Confluence of the Milwaukee and Menomonee Rivers, by the railroad swing bridge in the Third Ward. We'll create a spectacle with puppets, flags, & banners -- as Jahmes Finlayson leads us in drumming, chanting and singing. Event map is attached - please ask me if you have any questions about where and when to meet or any other event logistics.